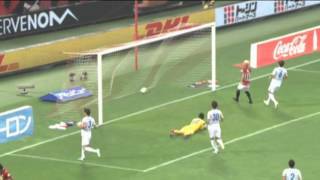 Nagoya Grampus 0-0 FC Tokyo, goals and highlights. 7' Hirofumi WATANABE 9' Own Goal 51' Ryoichi MAEDA. Urawa Reds(浦和レッドダイヤモンズ) 2 - 2 FC Tokyo(FC東京), goals and highlights. FACEBOOK: http://goo.gl/3QvvX TWITTER: http://goo.gl/evV. FC Tokyo 1-1 Ventforet Kofu, goals and highlights. 5' Edu 72' Cristiano. Post- match report from Naflgai Stadium. Omiya Ardija ( 大宮アルディージャ) 2 - 5 F.C. Tokyo (FC東京), goals and highlights. Sanfrecce Hiroshima (サンフレッチェ広島) 1 - 2 F.C. Tokyo (FC東京), goals and highlights. FACEBOOK: http://goo.gl/3QvvX TWITTER: http://goo.gl/WySWv. 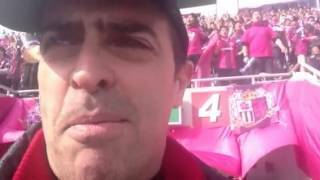 Sagan Tosu vs F.C.Tokyo - J-League 2012 round 18. 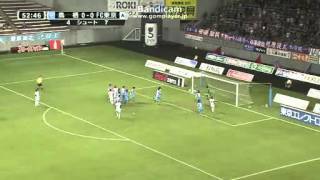 Kawasaki Frontale 0-0 FC Tokyo, goals and highlights. Vissel Kobe 2-1 FC Tokyo, goals and highlights. 52' Marquinhos 62' R. Morioka 67' Edu. Yokohama F.Marinos 1-0 FC Tokyo: Yokohama F.Marinos welcomed FC Tokyo to the Nisan Stadium, hoping to maintain their six match unbeaten record. F.C. Tokyo (FC東京) 2 - 3 Sagan Tosu ( サガン鳥栖 ), goals and highlights FACEBOOK: http://goo.gl/3QvvX TWITTER: http://goo.gl/WySWv. Sanfrecce Hiroshima 1-0 FC Tokyo, goals and highlights 80' K. Chiba. FC Tokyo 1-0 Matsumoto Yamaga, goals and highlights 19' R. Maeda. Nagoya Grampus ( 名古屋グランパス) 0 - 2 F.C. Tokyo (FC東京), goals and highlights. Urawa Reds (浦和レッドダイヤモンズ) 2 - 2 F.C.Tokyo (FC東京), goals and highlights. A pulsating encounter in Saitama as both sides shared the spoils. Oita Trinita 1-2 F.C.Tokyo.. Visit J-League channel @ http://goo.gl/9OKSF. 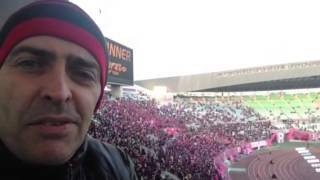 Pre-game in the Cerezo End.